It's Monday. It's February. It's still (unfortunately) winter (for many of us). Suffice it to say, we could all use something bright and colorful to cheer up our breakfasts. 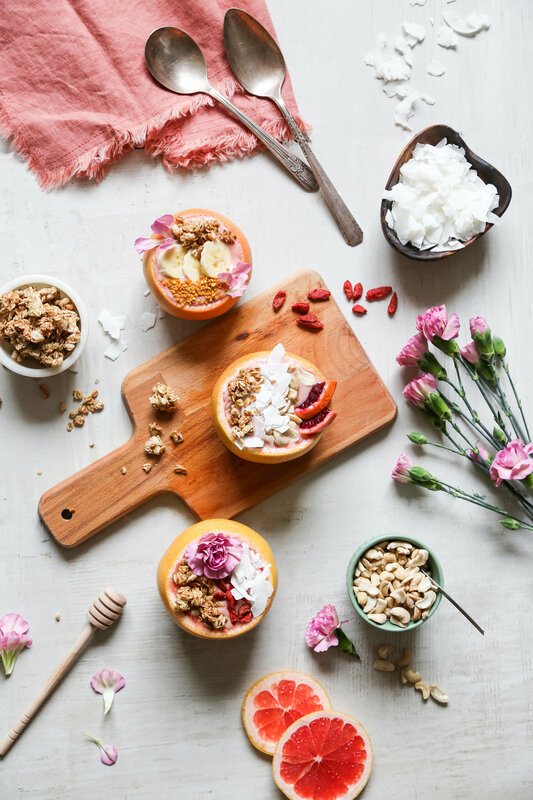 Enter these grapefruit smoothie bowls. I know, I know. Smoothie bowls are probably so 2016. But smoothie bowls in a grapefruit?? Now that is so 2017. I am sharing the recipe for these beauties (that also happen to be super healthy and super delicious) over on Sugar & Cloth today. Make sure you grab the recipe as they're perfect for everything from adding a little pizzazz to your winter mornings to serving them as a customizable option at brunch (just put the toppings in separate bowls and let everyone add their own). Either way, this winter citrus smoothie served in grapefruit bowls won't disappoint.